8 1. Thorough Knowledge of One’s Personality. 8.1 2. Control of the Various Elements of the Personality. 8.2 3. Realisation of One’s True Self—The Discovery or Creation of a Unifying Center. 8.3 4. Psychosynthesis: the Formation or Reconstruction of the Personality Around the New Center. When we observe the most obvious characteristics of contemporary civilization, we are struck by its extreme extraversion, its desire to know and master the forces of nature in order to satisfy its ever-growing needs and demands. This is indeed the dominating trend of our age, but it is by no means the only one, as a closer study will reveal. As is well known, in the course of the last seventy years a group of inquirers, which was at first small but which gradually grew more active, turned its attention to the investigation of the phenomena and mysteries of the human psyche. The most important results have not been achieved by academic psychologists, but by independent investigators. Nearly all of them were clinicians, driven by the practical needs of their patients and aided by the greater evidence that certain psychological phenomena acquire when they are accentuated by a morbid condition. The first scientist to contribute original discoveries in this field was Pierre Janet (27). Starting with the phenomena of “psychological automatism” he found that there are many mental activities taking place independently of the patient’s consciousness, and even real “secondary personalities” living behind, or alternating with, the everyday personality. Soon after Janet a Viennese doctor, Sigmund Freud (15), began his investigations of the unconscious psychological processes. His starting point was Breuer’s cathartic method, which consisted in recalling to the consciousness of the patient the forgotten trauma or impressions which had produced the symptoms and releasing by means of an adequate outlet, the strong emotions associated with them. Breuer used hypnosis for this purpose, but Freud soon found out that the same result could be reached by the use of free association and by the interpretation of dreams, which became the specific techniques of psychoanalysis. Freud had many pupils and followers, some of whom contributed various developments and modifications, while remaining in the main stream of the psychoanalytic movement; such were Karl Abraham (1), Sandor Ferenczi (13), Wilhelm Stekel (55), Melanie Klein (30), etc. On the other hand, some of Freud’s original pupils and co-workers took independent and even antagonistic positions and developed conceptions, methods and even Schools of their own. The more important among them are: Alfred Adler (2) who, in his “Individual Psychology,” emphasized the importance of the drive to personal self- assertion, or the will-to-power; C. G. Jung (28), who investigated the deeper layers of the unconscious, where he found images and symbols of a collective character, and also made original contributions to the classification and description of psychological types; Otto Rank (46), who put particular emphasis on the problem of separation and union, and on the function of the will. Later, specific contributions were made by Karen Homey (25), who pointed out the importance of actual conflicts and of the need for security. Erich Fromm (16) put the accent on the social pressures on the individual. Various contributions have been made by French psychoanalysts such as Allendy (3) and Hesnard (24). Mention should be made also of “Existential Analysis,” put forward and practised by Binswanger (9) and Frankl (14). 1. Psychosomatic Medicine, which has increasingly developed in recent years, bringing to light the strong influence of psychological factors in determining troubles of every kind, including many of an organic character. 2. The Psychology of Religion, which investigates the various manifestations of religious consciousness and of mystical states. The researchers in this field have been numerous; we can mention, among the first, William James (26), with his classical book on The Varieties of Religious Experience; Underhill (61), (Mysticism); Heiler (23); Winslow Hall (20); etc. Lately, a number of books have appeared which discuss the relationship between psychology and religion. 3. The Investigation of the Superconscious (and its manifestations such as intuition and illumination ), of genius and of creative activity; and of highly gifted children. Here we find the study of “cosmic consciousness” by Bucke (10); the contributions of Ouspensky (45), Winslow Hall (20), Urban (62), Maslow (37), etc. ; Terman (59) and the group working in the Association for Gifted Children, etc. 4. “Psychical Research” or Parapsychology, which developed from the classical studies of Myers (43) on the “Subliminal Self” and was developed by earnest scientists such as James (26), Lodge (34), Richet (48), Geley (17), Osty (44), Rhine (47), etc. It has given evidence of the existence of supernormal psychophysical abilities such as extra-sensory perception, mechanical action from a distance (telekinesis), telepathy, premonition. It has also gathered much material on the problem of survival. 5. Eastern Psychology (especially Indian), both ancient and modern. Its valuable contributions are beginning to be integrated with those of Western psychology (52). 6. “Creative Understanding,” which emphasizes the creative power of spiritual understanding and of inner significance. Its chief champion was Hermann Keyserling (29) who expounded this approach through many books and through the “School of Wisdom” which was active for many years at Darmstadt, Germany. 7. The Holistic Approach and the Psychology of the Personality. This was first promoted by Smuts (53) in his book Holism and Evolution and is being adopted by an increasing number of psychologists and psychiatrists such as: Allport (4), Angyal (5), Goldstein (18), Maslow (37), Murphy (42) and Progroff (45a). The views of the preceding authors were ably summarized by Hall (19). Parallel with this development in America there has been in Switzerland the movement called Médicine de la Personne, started by Tournier of Geneva (60), and followed by Maeder (35) and others and, along independent lines, by Baudoin (8). The personalistic standpoint has been also upheld by Stern (56) in Germany. 8. Inter-individual and Social Psychology and Psychiatry and the Anthropological Study of Man. This is a large movement which includes various independent currents. We here find Sullivan (57) with his “Inter-personal Theory of Psychiatry,” Lewin (33), and then the investigators of group dynamics as at the University of Michigan (11), the researchers into human relations at Harvard (49), the contributions of Sorokin (54, 54a) on altruistic love, etc., also at Harvard; while in Europe there is the emphasis on the social and moral aspect in psychiatry by Baruk (7). The anthropological approach is ably represented, among others, by Margaret Mead (39). 9. “Active Techniques” for the Treatment and Development of the Personality. All or nearly all the previously mentioned approaches have led to the adoption and the use of a large number and variety of active techniques. The comparative older ones are hypnotism and suggestion and auto-suggestion, described and used by the two “Schools of Nancy” (Liebault, Bernheim, Coué) and, with greater scientific accuracy, by Baudoin (8); then the autogenous training of Schultz (50); Desoille’s “Réve éveillé” (12); Happich’s meditationtechnique (21); Moreno’s (40) psychodrama, and other forms of Group Psychotherapy (6). 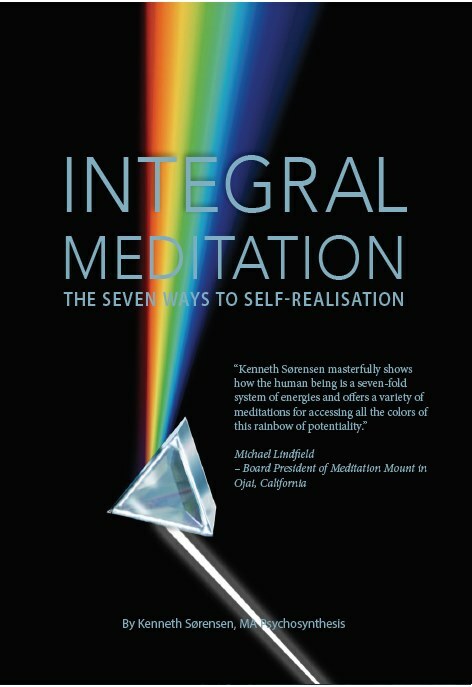 Moreover there are the various techniques, too numerous to be quoted in this rapid survey, for the training of specific functions such as memory, thinking, imagination and will. This vast amount of studies and research offers enough material for an attempt at co-ordination and synthesis. If we assemble ascertained facts, positive and well-authenticated contributions and well-founded interpretations, ignoring the exaggerations and theoretical super-structure of the various schools, we arrive at a pluridimensional (This apt term indicating an inclusive outlook has been used by Ruth Munroe (41) and by Gardner Murphy (42).) conception of the human personality which, though far from perfect or final is, we think, more inclusive and nearer to reality than previous formulations. To illustrate such a conception of the constitution of the human being in his living concrete reality the following diagram may be helpful. It is, of course, a crude and elementary picture that can give only a structural, static, almost “anatomical” representation of our inner constitution, while it leaves out its dynamic aspect, which is the most important and essential one. But here, as in every science, gradual steps must be taken and progressive approximations be made. When dealing with a reality so plastic and elusive as our psychological life, it is important not to lose sight of the main lines and of the fundamental differences; otherwise the multiplicity of details is liable to obscure the picture as a whole and to prevent our realizing the respective significance, purpose and value of its different parts. a. The elementary psychological activities which direct the life of the body; the intelligent coordination of bodily functions. b. The fundamental drives and primitive urges. c. Many complexes, charged with intense emotion. d. Dreams and imaginations of an inferior kind. e. Lower, uncontrolled parapsychological processes. f. Various pathological manifestations, such as phobias, obsessions, compulsive urges and paranoid delusions. This is formed of psychological elements similar to those of our waking consciousness and easily accessible to it. In this inner region our various experiences are assimilated, our ordinary mental and imaginative activities are elaborated and developed in a sort of psychological gestation before their birth into the light of consciousness. From this region we receive our higher intuitions and inspirations artistic, philosophical or scientific, ethical “imperatives” and urges to humanitarian and heroic action. It is the source of the higher feelings, such as altruistic love; of genius and of the states of contemplation, illumination and ecstasy. In this realm are latent the higher psychic functions and spiritual energies. This term—which is not quite accurate but which is fairly clear and convenient for practical purposes—is used to designate that part of our personality of which we are directly aware: the incessant flow of sensations, images, thoughts, feelings, desires and impulses which we can observe, analyze and judge. The “self”, that is to say, the point of pure self-awareness, is often confused with the conscious personality just described, but in reality it is quite different from it. This can be ascertained by the use of careful introspection. The changing contents of our consciousness (the sensations, thoughts, feelings, etc.) are one thing, while the “I”, the self, the center of our consciousness is another. From a certain point of view this difference can be compared to that existing between the white lighted area on a screen and the various pictures which are projected upon it. But the “man in the street” and even many well-educated and intelligent people do not take the trouble to observe themselves and to discriminate; they drift on the surface of the “mind-stream” and identify themselves with its successive waves, with the changing contents of their consciousness. The conscious self is generally not only submerged in the ceaseless flow of psychological contents but seems to disappear altogether when we fall asleep, when we faint and lose consciousness, when we are under the effect of an anaesthetic or narcotic, or in a state of hypnosis. And when we awake the self mysteriously re-appears, we do not know how or whence—a fact which, if closely examined, is truly baffling and disturbing. This leads us to assume that the re-appearance of the conscious self or ego is due to the existence of a permanent center, of a true Self situated beyond or “above” it (The higher Self should not be confused in any way with the super-ego of Freud which is not a real self but, according to Freud’s theory, a construction, an artificial product. It is also different from any “phenomenological” conception of the self or ego.). There are various ways by means of which the reality of the Self can be ascertained. There have been many individuals who have achieved, more or less temporarily, a conscious realization of the Self that for them has the same degree of certainty as is experienced by an explorer who has entered a previously unknown region. Such statements can be found in Bucke’s Cosmic Consciousness (10), in Ouspensky’s Tertium Organum (45), in Underhill’s Mysticism (61), and in other books. 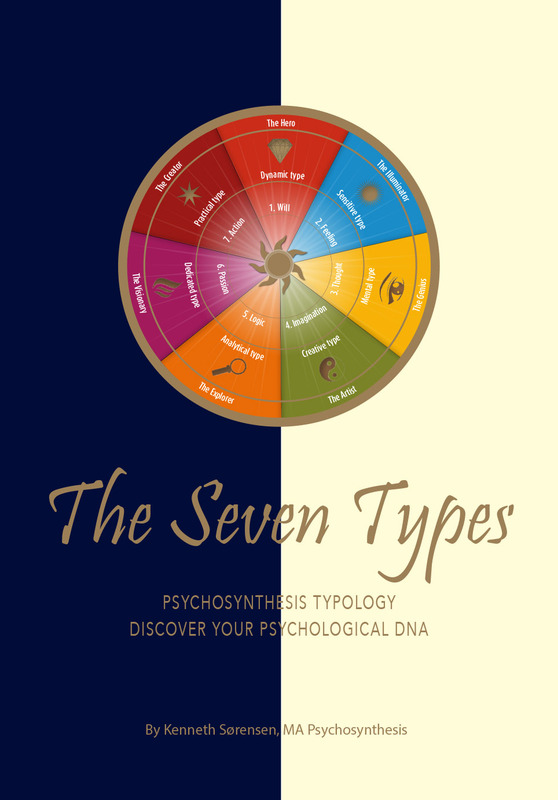 The awareness of the Self can also be achieved through the use of certain psychological methods, among which are Jung’s ‘process of individuation” (28), Desoille’s ‘Réve éveillé” (12), the techniques of Raja Yoga(52), etc. Then we have the corroboration of such philosophers as Kant and Herbart who make a clear distinction between the empirical ego and the noumenal or real Self. This Self is above, and unaffected by, the flow of the mind-stream or by bodily conditions; and the personal conscious self should be considered merely as its reflection, its “projection” in the field of the personality. At the present stage of psychological investigation little is definitely known concerning the Self, but the importance of this synthesizing center well warrants further research. Human beings are not isolated, they are not “monads without windows” as Leibnitz thought. They may at times feel subjectively isolated, but the extreme existentialistic conception is not true, either psychologically or spiritually. 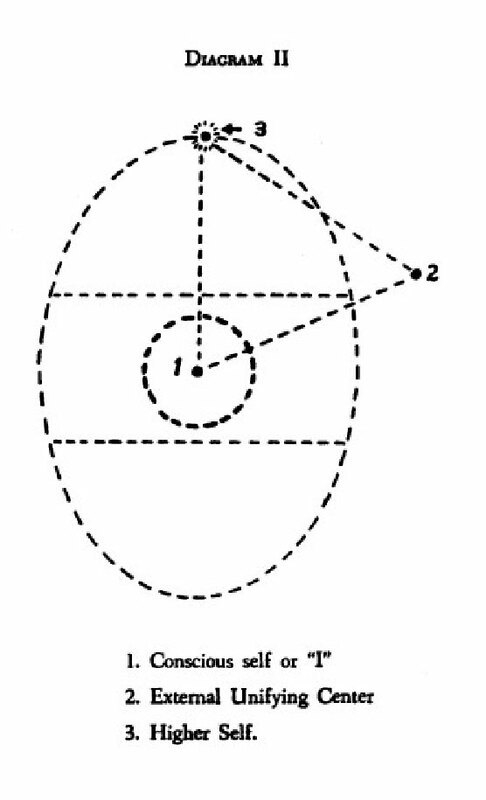 The outer line of the oval of the diagram should be regarded as “delimiting” but not as “dividing’. It should be regarded as analogous to the membrane delimiting a cell, which permits a constant and active interchange with the whole body to which the cell belongs. Processes of “psychological osmosis” are going on all the time, both with other human beings and with the general psychic environment. The latter corresponds to what Jung has called the “collective unconscious”; but he has not clearly defined this term, in which he includes elements of different, even opposite natures, namely primitive archaic structures and higher, forward-directed activities of a superconscious character. (See C. G. Jung, Two Essays on Analytical Psychology, London, 1928, pp. 118-9). 1. The seeming duality, the apparent existence of two selves in us. Indeed, it is as if there were two selves, because the personal self is generally unaware of the other, even to the point of denying its existence; whereas the other, the true Self, is latent and does not reveal itself directly to our consciousness. 2. The real unity and uniqueness of the Self. There are not really two selves, two independent and separate entities. The Self is one; it manifests in different degrees of awareness and self-realization. The reflection appears to be self-existent but has, in reality, no autonomous substantiality. It is, in other words, not a new and different light but a projection of its luminous source. This conception of the structure of our being includes, co-ordinates and arranges in an integral vision the data obtained through various observations and experiences. It offers us a wider and more comprehensive understanding of the human drama, of the conflicts and problems that confront each one of us, and it also indicates the means of solving them and points the way to our liberation. In our ordinary life we are limited and bound in a thousand ways—the prey of illusions and phantasms, the slaves of unrecognized complexes, tossed hither and thither by external influences, blinded and hypnotized by deceiving appearances. No wonder then that man, in such a state, is often discontented, insecure and changeable in his moods, thoughts and actions. Feeling intuitively that he is “one”, and yet finding that he is “divided unto himself”, he is bewildered and fails to understand either himself or others. No wonder that he, not knowing or understanding himself, has no self-control and is continually involved in his own mistakes and weaknesses; that so many lives are failures, or are at least limited and saddened by diseases of mind and body, or tormented by doubt, discouragement and despair. No wonder that man, in his blind passionate search for liberty and satisfaction, rebels violently at times, and at times tries to still his inner torment by throwing himself headlong into a life of feverish activity, constant excitement, tempestuous emotion and reckless adventure. Let us examine whether and how it is possible to solve this central problem of human life, to heal this fundamental infirmity of man. Let us see how he may free himself from this enslavement and achieve an harmonious inner integration, true Self-realization and right relationships with others. The task is certainly neither easy nor simple, but that it can be accomplished has been demonstrated by the success of those who have used adequate and appropriate means. 1. Thorough knowledge of one’s personality. 3. Realization of one’s true Self—the discovery or creation of a unifying center. 4. Psychosynthesis: the formation or reconstruction of the personality around the new center. Let us examine each of these stages. We have recognized that in order really to know ourselves it is not enough to make an inventory of the elements that form our conscious being. An extensive exploration of the vast regions of our unconscious must also be undertaken. We have first to penetrate courageously into the pit of our lower unconscious in order to discover the dark forces that ensnare and menace us—the “phantasms”, the ancestral or childish images that obsess or silently dominate us, the fears that paralyze us, the conflicts that waste our energies. It is possible to do this by the use of the methods of psychoanalysis. This search can be undertaken by oneself but it is accomplished more easily with the help of another. In any case the methods must be employed in a genuinely scientific manner, with the greatest objectivity and impartiality, without preconceived theories and without allowing ourselves to be deterred or led astray by the covert or violent resistance of our fears, our desires, our emotional attachments. Psychoanalysis generally stops here; but this limitation is not justified. The regions of the middle and higher unconscious should likewise be explored. In that way we shall discover in ourselves hitherto unknown abilities, our true vocations, our higher potentialities which seek to express themselves, but which we often repel and repress through lack of understanding, through prejudice or fear. We shall also discover the immense reserve of undifferentiated psychic energy latent in every one of us; that is, the plastic part of our unconscious which lies at our disposal, empowering us with an unlimited capacity to learn and to create. 2. Control of the Various Elements of the Personality. We are dominated by everything with which our self becomes identified. We can dominate and control everything from which we dis-identify ourselves. In this principle lies the secret of our enslavement or of our liberty. Every time we “identify” ourselves with a weakness, a fault, a fear or any other personal emotion, we limit and paralyze ourselves. Every time we admit “I am discouraged” or “I am irritated”, we become more and more dominated by depression or anger. We have accepted those limitations; we have ourselves put on our chains. If, instead, in the same situation we say, “A wave of discouragement is trying to submerge me” or “An impulse of anger is attempting to overpower me”, the situation is very different. Then there are two forces confronting each other; on one side our vigilant self and on the other the discouragement or the anger. And the vigilant self does not submit to that invasion; it can objectively and critically survey those impulses of discouragement or anger; it can look for their origin, foresee their deleterious effects, and realize their unfoundedness. This is often sufficient to withstand an attack of such forces, disperse them and win the battle. But even when these forces within ourselves are temporarily stronger, when the conscious personality is at first overwhelmed by their violence, the vigilant self is never really conquered. It can retire to an inner fortress and there prepare for and await the favourable moment in which to counter-attack. It may lose some of the battles, but if it does not give up its arms and surrender, the ultimate issue is not compromised, and it will achieve victory in the end. a. The disintegration of the harmful images or complexes. b. The control and utilization of the energies thus set free. Psychoanalysis has demonstrated that the power of these images and complexes lies chiefly in the fact that we are unconscious of them, that we do not recognize them as such. When they are unmasked, understood and resolved into their elements, they often cease to obsess us, and in any case we are then much better able to defend ourselves against them. In order to dissolve them we should use the methods of objectification, of critical analysis and of discrimination. That is to say, we must employ cold, impersonal observation as if they were mere natural phenomena, occurring outside ourselves. We should create a “psychological distance” between ourselves and them, keeping these images or complexes at arm’s length, so to speak, and then quietly consider their origin, their nature and—their stupidity! This does not mean the suppression or repression of the energies inherent in those manifestations but their control and redirection into constructive channels. It is well known that too much criticism and analysis are apt to paralyze and even kill our emotions and feelings. This critical faculty which we often employ indiscriminately and harmfully against our higher feelings and creative potentialities, should instead be used to free ourselves from undesirable impulses and tendencies. But such analysis and criticism are not always sufficient. There are certain strong trends, certain vital elements which, however much we may disparage and condemn them, obstinately persist. And there remains, moreover, the problem of the emotional and impulsive energies such as sexual and aggressive drives. These, when detached from the complexes or diverted from their previous channels, create in us a state of agitation and unrest and may find new but equally undesirable outlets. These forces, therefore, must not be left to run wild, but should be disposed of in harmless ways or, better still, used for constructive purposes: to rebuild our personality, to contribute to our psychosynthesis. But in order to be able to do this we must start from the center; we must have established and made efficient the unifying and controlling Principle of our life. 3. Realisation of One’s True Self—The Discovery or Creation of a Unifying Center. On the basis of what we have said about the nature and power of the Self, it is not difficult to point out theoretically the solution of such a problem. What has to be achieved is to expand the personal consciousness into that of the Self; to reach up, following the thread or ray (see diagram II) to the Star; to unite the lower with the higher Self. But this, which is so easily expressed in words, is in reality a tremendous undertaking. It constitutes a magnificent endeavour, but certainly a long and arduous one, and not everybody is ready for it. But between the starting point in the lowlands of our ordinary consciousness and the shining peak of Self-realization there are many intermediate phases, many plateaus at various altitudes on which a man may rest or even make his temporary abode, if his lack of strength precludes or his will does not choose a further ascent. In favourable cases the ascent takes place to some extent spontaneously through a process of natural inner growth, fostered by the manifold experiences of life; but often the process is very slow. In all cases, however, it can be considerably accelerated by our deliberate conscious action and by the use of appropriate active techniques. The intermediate stages imply new identifications. The men and women who cannot reach their true Self in its pure essence can create a picture and an ideal of perfected personality adequate to their caliber, their stage of development and their psychological type, and therefore can make this ideal practicable in actual life. For some it may be the ideal of the artist who realizes and expresses himself as the creator of beautiful things, who makes art the most vital interest and the animating principle of his existence, pouring into it all his best energies. For others it may be the ideal of the seeker after Truth, the philosopher, the scientist. For yet others it is a more limited and personal ideal, that of the good father or mother. for him and is absorbed in him. The ancient Hindu wife not only made her husband her human master, but worshipped him also as her spiritual teacher, her Guru—almost as her God. When the unifying center has been found or created, we are in a position to build around it a new personality—coherent, organized and unified. This is the actual psychosynthesis, which also has several stages. The first essential is to decide the plan of action, to formulate the “inner program.” We must visualize the purpose to be achieved—that is, the new personality to be developed—and have a clear realization of the various tasks it entails. Some people have a distinct vision of their aim from the outset. They are capable of forming a clear picture of themselves as they can and intend to become. This picture should be realistic and “authentic”, that is, in line with the natural development of the given individual and therefore capable—at least in some measure—of realization, and should not be a neurotic, unreal “idealized image” in the sense of Karen Homey (25). A genuine “ideal model” has a dynamic creative power; it facilitates the task by eliminating uncertainties and mistakes; it concentrates the energies and utilizes the great suggestive and creative power of images. Other individuals of a more plastic psychological constitution, who live spontaneously, following indications and intuitions rather than definite plans, find it difficult to formulate such a program, to build according to a pattern; they may even positively dislike such a method. Their tendency is to let themselves be led by the Spirit within or by the will of God, leaving Him to choose what they should become. They feel that they can best reach the goal by eliminating, as much as possible, the obstacles and resistances inherent in their personality; by widening the channel of communication with the higher Self through aspiration and devotion and then letting the creative power of the Spirit act, trusting and obeying it. Both methods are effective, and each is appropriate to the corresponding type. But it is well to know, to appreciate and to use both to some extent in order to avoid the limitations and the exaggerations of each by correcting and enriching the one with elements taken from the other. Thus, those who follow the first method should be careful to avoid making their “ideal picture” too rigid; they should be ready to modify or to enlarge it—and even to change it altogether as later experiences, fresh outlooks or new clarifications indicate and demand this change. On the other hand, those who follow the second method should guard against becoming too passive and negative, accepting as intuitions and higher inspirations certain promptings which are, in reality, determined by unconscious forces, wishes and desires. Moreover, they must develop the ability to stand steady during the inevitable phases of inner aridity and darkness, when conscious communion with the spiritual Center is interrupted and the personality feels itself abandoned. The “ideal models” or images that one can create are many, but they can be divided into two principal groups. The first is formed of images representing harmonious development, an all-round personal or spiritual perfection. This kind of ideal is aimed at chiefly by introverts. The second group represents specialized efficiency. The purpose here is the utmost development of an ability or quality corresponding to the particular line of self-expression or service which the individual has chosen. This is the ideal of the artist, the teacher, the advocate of a good cause, etc. Such models are generally preferred by extraverts. 1. Utilization of the available energies. These are (a) the forces released by the analysis and disintegration of the unconscious complexes; (b) the tendencies latent, and until now neglected, which exist on the various inner levels. Such utilisation demands the transmutation of many of these unconscious forces. Their inherent plasticity and mutability makes this possible. In fact, such transmutation is a process that is continually taking place within us. Just as heat is changed into motion and electric energy, and vice versa, our emotions and impulses are transformed into physical actions or into imaginative and intellectual activities. Conversely, ideas stir up emotions or are transformed into plans and hence into actions. Instances of such transformations have been observed and recognized by many people. When the Latin poet says, “Facit indignatio versus” (Indignation produces my poems) he shows that he has realized how an emotional wave of indignation, if denied a natural outlet through external action, can be trans. formed into poetic activity. Again, when Heine writes, “Aus meinen grossen Schmerzen mach’ ich die kleinen Lieder” (Out of my great suffering I produce my little songs) he indicates that his pain has been sublimated into poetry, and thus transfigured into beauty. Important teachings and examples concerning the doctrine and practice of this transformation of the inner energies can be found in the yoga of the Hindu, in Christian mysticism and asceticism and in works on spiritual alchemy, while some new points have been contributed by psychoanalysis. 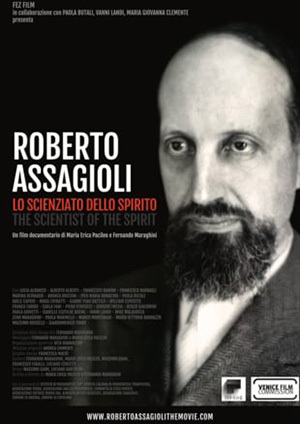 We therefore possess sufficient elements for the formation of a real science of psychological energies (psychodynamics), and of reliable and adequate techniques by which to bring about the desired changes in ourselves and in others. 2. Development of the parts of the personality which are either deficient or inadequate for the purpose we desire to attain. This development can be carried out in two ways: by means of direct evocation, autosuggestion, creative affirmation; or by the methodical training of undeveloped functions (such as memory, imagination, will)—a training analogous to that used in physical culture or in developing technical skills such as singing or playing an instrument. 3. Coordination and subordination of the various psychological energies and functions, the creation of a firm organization of the personality. This ordering presents interesting and suggestive analogies with that of a modem state, with the various groupings of the citizens into communities, social classes, professions and trades, and the different grades of town, district and state officials. Such is, in brief outline, the process by which psychosynthesis is accomplished. But it should be made clear that all the various stages and methods mentioned above are closely interrelated and need not be followed in a strict succession of distinct periods or phases. A living human being is not a building, for which the foundations must be laid, then the walls erected and, finally, the roof added. The carrying out of the vast inner program of psychosynthesis may be started from various points and angles at the same time, and the different methods and activities can be wisely alternated through shorter or longer cycles, according to circumstances and inner conditions. All this may at first appear rather formidable, but there is no reason for doubt or discouragement. The help of a competent therapist or teacher obviously makes the task much easier; on the other hand, one may gain fuller and deeper knowledge by one’s own unaided efforts and through one’s own mistakes. Having absorbed the preliminary instruction on the psychological principles involved, and having learned the various psychosynthetic techniques to be followed, the rest is a question of practice, experience, intelligence and intuition, which increase in proportion to the need and to the steadfastness of the endeavour. In this way the new regenerated personality is formed, and a new and higher life begins, the true life, for which the preceding one can be considered as a mere preparation, almost a gestation. 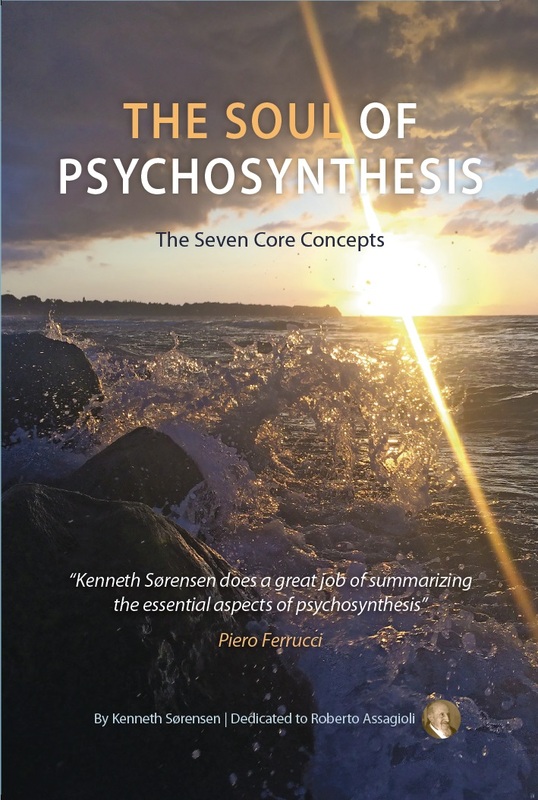 If we now consider psychosynthesis as a whole, with all its implications and developments, we see that it should not be looked upon as a particular psychological doctrine, nor as a single technical procedure. It is first and foremost a dynamic, even a dramatic conception of our psychological life, which it portrays as a constant interplay and conflict between the many different and contrasting forces and a unifying center which ever tends to control, harmonize and utilize them. 1. A method of psychological development and Self-realization for those who refuse to remain the slaves of their own inner phantasms or of external influences, who refuse to submit passively to the play of psychological forces which is going on within them, and who are determined to become the master of their own lives. 2. A method of treatment for psychological and psychosomatic disturbances when the cause of the trouble is a violent and complicated conflict between groups of conscious and unconscious forces, or when it is due to those deep-seated and tormenting crises (not generally understood or rightly judged by the patient himself) which often precede a phase of Self-realization. 3. A method of integral education which tends not only to favour the development of the various abilities of the child or of the adolescent, but also helps him to discover and realize his true spiritual nature and to develop under its guidance an harmonious, radiant and efficient personality. Psychosynthesis may also be considered as the individual expression of a wider principle, of a general law of inter-individual and cosmic synthesis. Indeed, the isolated individual does not exist; every person has intimate relationships with other individuals which make them all interdependent. Moreover, each and all are included in and part of the spiritual super-individual Reality. Thus, inverting the analogy of man being a combination of many elements which are more or less coordinated, each man may be considered as an element or cell of a human group; this group, in its turn, forms associations with vaster and more complex groups, from the family group to town and district groups and to social classes; from workers’ unions and employers’ associations to the great national groups, and from these to the entire human family. Between these individuals and groups arise problems and conflicts which are curiously similar to those we have found existing within each individual. Their solution (interindividual psychosynthesis) should therefore be pursued along the same lines and by similar methods as for the achievement of individual psychosynthesis. A detailed study of this parallelism might prove very illuminating and help us to discover the profound significance and real value of the many efforts towards organization and synthesis, both of a practical and of a psychological nature, which are increasingly being attempted between the various national, social, economic, scientific and religious groups. From a still wider and more comprehensive point of view, universal life itself appears to us as a struggle between multiplicity and unity—a labour and an aspiration towards union. We seem to sense that—whether we conceive it as a divine Being or as cosmic energy—the Spirit working upon and within all creation is shaping it into order, harmony and beauty, uniting all beings (some willing but the majority as yet blind and rebellious) with each other through links of love, achieving—slowly and silently, but powerfully and irresistibly—the Supreme Synthesis. 1. Abraham, K., Selected Papers on Psychoanalysis. New York: Basic Books, 1953. 2. Alder, A., The Pattern of Life. New York: Cosmopolitan Book Co., 1931. 3. Allendy, R., La Problème de la Destinée. Paris: Gallimarcl, 1927. 4. Allport, C., The Course of Becoming. New Haven: Yale University Press,1955. 5. Angyal, A., Foundations for a Science of Personality. Cambridge: Harvard University Press, 1941. 6. Bach, G. R., Intensive Group Psychotherapy. New York: Ronald Press, 1954. 7. Baruk, H., Psychiatrie Morale Experimentale, individuelle et Sociale. Paris: Presses Universitaires, 1945. 8. Baudoin, C., Découverte tie la Personne. Paris: Presses Universitaires, 1940. Suggestion and Autosuggestion. London: Allen and Unwin, 1920. 9. Binswanger, L, Grundformen und Erkenntniss Menschlicher Dasein. Zurich: Niehaus, 1942. 10. Bucke, R. M., , Cosmic Consciousness a Study in the Evolution of the Human Mind. New York: Dutton, 1923. 11. Cartwright, D. & Zander, A. F., Group Dynamics Research and Theory. Evanston, Ill.: Row-Peterson, 1953. 12. Desoille, R., La Rêve Eveillé en Psychothérapie. Paris: Presses Universitaires, 1945. 13. Ferenczi, S., Further Contributions to the Theory and Technique of Psychoanalysis. New York: Liveright, 1926. 14. Frankl, V. E., Der Unbedingte Mensch. Wien: Deuticke, 1949. 15. Freud, S., The Standard Edition of the Complete Psychological Works of S. F. New York: Macmillan, 1953. 16. Fromm, E., Escape from Freedom. New York: Farrar and Rinehart, 1941. 17. Geley, C., From the Unconscious to the Conscious. New York: Harm, 1921. 18. Goldstein, K., The Organism. New York: American Book Co., 1939. 19. Hall, Calvin S., Theories of Personality. New York: Wiley, 1957. 20. Hall, Winslow W., Observed Illuminates. London: Daniel, 1926. 21. Happich, C., Anleitung zur Meditation. Darmstadt: Rother, 3rd ed., 1948. 22. Harding, M. E., Psychic Energy: Its Source and Goal. New York: Pantheon Books, 1948. 23. Heiler, F., Das Gebet. Eine Religionsgeschichtliche und Religionspsychologische Untersuchung. Munchen: Reinhardt, 1918. 24. Hesnard, A., Freud dans la Société d’aprés-guerre. Cenêve: Mont Blanc, 1946. 25. Horney, Karen, Our Inner Conflicts. New York: Norton, 1945. 26. James, W., The Varieties of Religious Experience. New York: Longmans, Green, 1902. 27. Janet, P., L’automatisine Psychologique. Paris: Alcan, 1889. 28. Jung, C. G., Collected Works, Bollingen Series, New York: Pantheon Books, 1953- 54. 29. Keyserling, H. A., Creative Understanding. New York: Harper, 1929. 30. Klein, Melanie, et al, Developments in Psychoanalysis. New York: Hillary House, 1952. 31. Kretschmer, W. Jr., Die Meditative Verfahren in der Psychotherapie. Zeitschrift für Psychotherapie, I, Heft 3, 1951. 32. Laforgue, R., Psychopathologie de l’eEchec. Paris: Payot, 1941. 33. Lewin, K., A Dynamic Theory of Personality. New York: McGraw Hill, 1935. 34. Lodge, O., Raymond or Life and Death. New York: Doran (now Doubleday) 1916. 35. Maeder, A., Die Richtung in Seeienleben. Zurich: Rascher, 1928. 36. Martin, P. W., Experiment in Depth. New York: Pantheon Books, 1955. 37. Maslow, A. H., Motivation and Personality. New York: Harper, 1954. 38. Mayo, E., Some Notes on the Psychology of Pierre Janet. Cambridge: Harvard University Press, 1948. 39. Mead, Margaret, Male and Female. New York: Morrow, 1949. 40. Moreno, J. L., Psycho-drama. New York: Beacon House, 1946. 41. Munroe, R. L, Schools of Psychoanalytic Thought. New York: The Dryden Press, 1955. 42. Murphy, Gardner, Personality. New York: Harper, 1947. 43. Myers, F. W. H., Human Personality and its Survival. New York: Longmans Green, 1920. 44. Osty, E., La Connaissance Supranormale. New York: Sutton, 1923. 45. Ouspensky, P. D., Tertium Organumn. New York: Knopf, 1934. 45a. Progroff, Ira, The Death and Rebirth of Psychology. New York: Julian Press, 1956. 46. Rank, O., Will Therapy and Truth and Reality. New York: A. Knopf, 1945. 47. Rhine, J. B., New Frontiers of the Mind. New York: Farrar and Rinehart, 1937. 48. Richet, C. R., Treatise on Metapsychics. New York: MacMillan, 1923. 49. Roethlisberger, F. S., Fritz, Jules, & Dickson, W. J., Management and the Worker. Cambridge: Harvard University Press, 1939. 50. Schultz, J. H., Das Autogene Training. Leprzig: Thieme, 1934. 51. Slavson, S. R., (Editor) The Practice of Group Therapy. New York: International Universities Press, 1945. 54. Sorokin, P. A., et .a1, Forms and Techniques of Altruistic and Spiritual Growth. Boston Beacon Press, 1954. 54a. Sorokin, P. A., Ways and Power of Love. Boston: Beacon Press, 1954. 55. Stekel W., Compulsion and Doubt. New York: Liveright, 1949. 56. Stern, W., General Psychology from the Personalistic Standpoint New York: MacMillan, 1938. 57. Sullivan, H. S., The Interpersonal Theory of Psychiatry. New York: Norton, 1953. 60. Tournier, P., Médecine de la Personne, Neuchitel: Delachoux et Niestlé. 61. Underhill, E., Mysticism. New York: Dutton, 1911. 62. Urban, H. J., “Uebernatur” und Medizin. Innsbruck: Tyrolia 1946.